Thanks to several free apps, there’s no reason to spend money to speak to anyone, anywhere in the world. 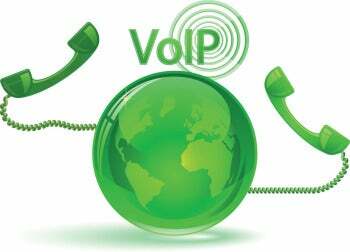 But if you must call a landline, you can save money using VoIP. To call international numbers (landline or mobile), you need to purchase Skype Credits. Credits can be purchased online for as low as $5 using a credit card. After credits are added in your account, you can call over 40 countries with US calls starting at Rs 1.39 per minute. You can check rates on http:www.skype.com. You can also get 60 and 120 minute or unlimited calls per month subscription packs. A 2 hour call duration fair usage policy applies to unlimited packs. Nimbuzz offers a service called NimbuzzOut for international calls. The process is similar: add Nimbuzz credits to your account by purchasing them using a credit card or PayPal. The minimum credit purchase is $10. Nimbuzz offers calling rates to US starting at 48 paisa per minute.Detailed rates for calling landlines and mobiles can be viewed on http:www.nimbuzzout.com.They also offer subscription-based calling minute bundles for a few countries for frequent callers. Viber’s international calling service called VIber Out is currently available only for iPhone and Android users. You can buy calling credits starting at $5 using a credit card or Paypal by logging in to your account on http:www.viber.com.Calling rates vary depending on the country: calls to the US start as low as Rs 1.14 per minute. However, unlike the competitors, Viber does not offer any subscription-based calling packs or unlimited packs for frequent callers. Fring claims to offer the cheapest call cost starting at just 6 paisa per minute. You have to buy minimum calling credits worth Rs 800 from http:www.fring.com or go for a monthly subscription for unlimited calls at Rs400 per month. You can call the US for as low as 72 paisa per minute. The subscription is subjected to fair use policy (no more than 3 hours per day, limited to 20 numbers per day and 50 numbers a month). The service is currently only available for iPhone and Android users. The consumer service from VoxOx relies on downloadable software -mobile apps for Android & iOS or software for Windows & Mac. As is usual, VoxOx lets you call or text other VoxOx users for free, anywhere in the world, without any limits. You can also share photos, videos and location over chat (with in-chat language translation between 37 different languages). When you want to call other numbers, call rates are quite low. For instance, calls to the US are charged at 60 paise per minute. Calls to Singapore are a flat Rs1.14 per minute. You can check call rates for each country here: http:www.voxox.comcallingrates. They also have several plans for small business and enterprise -with something special too: a complete cloud-based phone system called Cloud Phone (http:www.cloudphone.com). Vopium’s app is free for Android, iOS, BlackBerry, Windows Phone and select SymbianJava phones. When you sign up, they’ll give you 5 free minutes of international calls and 5 free text messages.As usual, if you’re calling another Vopium user, the call is free (dataWiFi charges do apply, so unlimited plans are preferable if you plan to use this a lot). Calls to both US and Singapore are Rs 1.81 per minute.However, regular users should opt for the US$10.75 pack (30-day validity) that gives you 30 international text messages and 1,000 minutes of talk time to 52 countries. The popular free messaging app Line has started a service called Line Premium Call when you want to use the app to call landline numbers in other countries. You use the same messaging app on your phone to make the call. The mobile app is available for free on Android, iOS, BlackBerry, Windows Phone, Nokia Asha & Firefox OS. On the computer, you can get it for Windows or Mac. As you start dialling the number (or after you select a number to call from your contact list), the app displays the cost before you make the call. Calls to the US and to Singapore are Rs 1.20 per minute. If you like the service and plan to use it on a regular basis, you can take the 30-day plans for further discounts on call rates. RebTel has free apps for Android, iOS (including iPad) and Windows Phone. Calls with RebTel are free. If your phone is not supported (or if you’re on a feature phone), you can call abroad using a local access number (you will pay some additional amount to your phone company for the local call). Rates vary depending on whether to go for the flexible RebTel credit (1 year validity) or the Big Saver (100 minutes) and Max Saver (1,000 minutes) packs: saver packs have a 30-day validity & minutes don’t carry over. So, for calls to the US, you pay 90 paise per minute with credit, 54 paise with Big Saver & 30 paise with Max Saver. To call Singapore, it costs Rs 1.14 per minute with credit, 76 paise with Big Saver & 54 paise with Max Saver. The free TruPhone app is available for Android, iOS and BlackBerry.After a quick registration and phone verification, you can start making free calls and sending free texts to other TruPhone users. The app automatically shows you which of your contacts are already on TruPhone so that you can call them directly. To call other numbers, you can purchase credit from within the app in multiples of US$ 3, 5, 10 or 20. The call rates are displayed within the app itself. You can also choose to invite some of your contacts to TruPhone -if they download the app and register, you can make a free call to them within minutes. It works over 3G or WiFi plus there’s a voicemail service built in for the times when you can’t accept calls. Vyke is available to download on Android, iOS (including iPad), BlackBerry and on a Windows PC. New users get 50% extra credit by entering the code BONUS50 (this is valid only for the first top up, when buying credits on http:www.vyke.com ­ not through the app). Calls to both US and Singapore are Rs 1.02 per minute. Now the special offering here is called VykeZone: this is a set of destinations where they charge a fixed amount per call (60 minutes per call). So if you have familyfriends in Australia, Brunei, Canada, China, Cyprus, Denmark, France, Germany, Greece, Hong Kong, Hungary, Ireland, Israel, Italy, New Zealand, Poland, Puerto Rico, Singapore, South Korea, Spain, Sweden, Taiwan, UK, USA or Venezuela -you pay Rs 9.03 per call. Each call can last up to 60 minutes. To keep talking, make another call. FooCall’s app is available for Android, iOS and Windows Phone. Once you download the app and sign up, they give you $0.30 for free towards your first call. You can check call rates to any country from within the app -calls to USA are 90 paise per minute while calls to Singapore range from 90 paise to `1.20 per minute. FooCall’s speciality is special package deals. For instance, they offer a 30-day worldwide unlimited (with a fair usage policy) plan which includes calls to 57 countries for just US$14.99. WePhone With WePhone, you don’t need an account to get started. Plus, they give you free credit so that you can make an international call immediately. They offer different service plan levels (standard, gold, VIP) each with different calling rates. Standard has the best rates, gold is high quality audio and VIP offers caller number display. As a bonus, you can also record your WePhone conversations and save the file to a PC. Libon is available on Android & iOS. While there’s nothing extraordinary about it, they’re currently offering free international calls to landlines & mobiles in 100 countries (for 3 months, valid for new members). It also has extensive voicemail features: you can create personalised greetings, get visual voicemail (listen to them in the order that you want) or transcribed voicemail (as text).